Here are all of Brahms’ Trios assembled on one album. The three Piano Trios date from the extremes of the composer’s life - Opus 8 from 1853/4 when he was about twenty years old (though here performed in its revised version of 1889), and Opus 101 from 1886, written when he was fifty-three. The Clarinet Trio was one of his very last works, written for the clarinettist who also inspired the Clarinet Quintet and the two Opus 120 Sonatas, Richard Mühlfeld. The marvellous Horn Trio is a middle-period work, composed when the composer was in his early thirties. 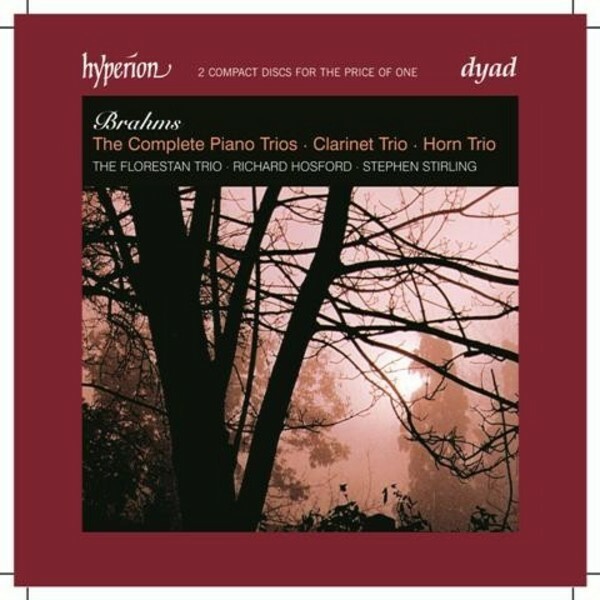 The five works are presented chronologically and all are immaculately played by the acclaimed Florestan Trio.